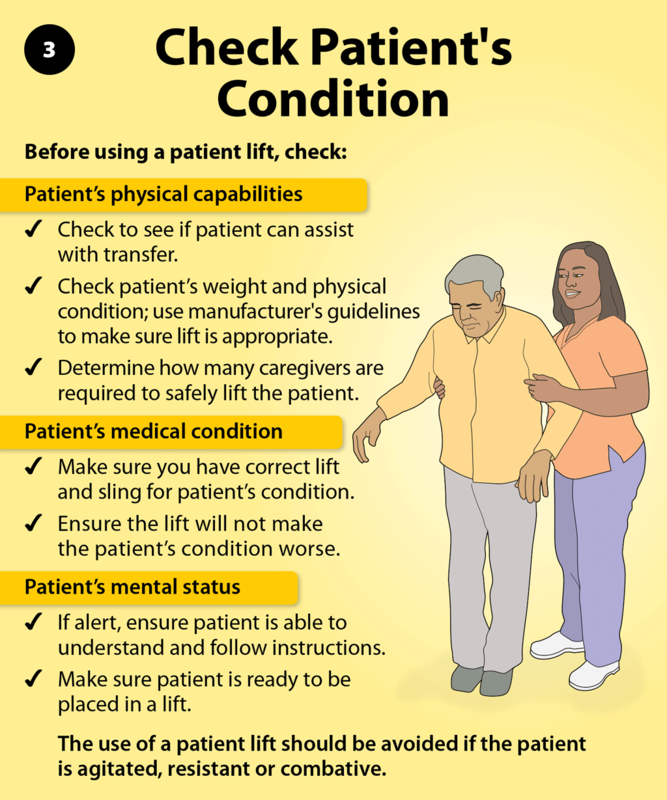 This Quick Safety Guide provides caregivers safety tips regardless of the type of lift they are using. 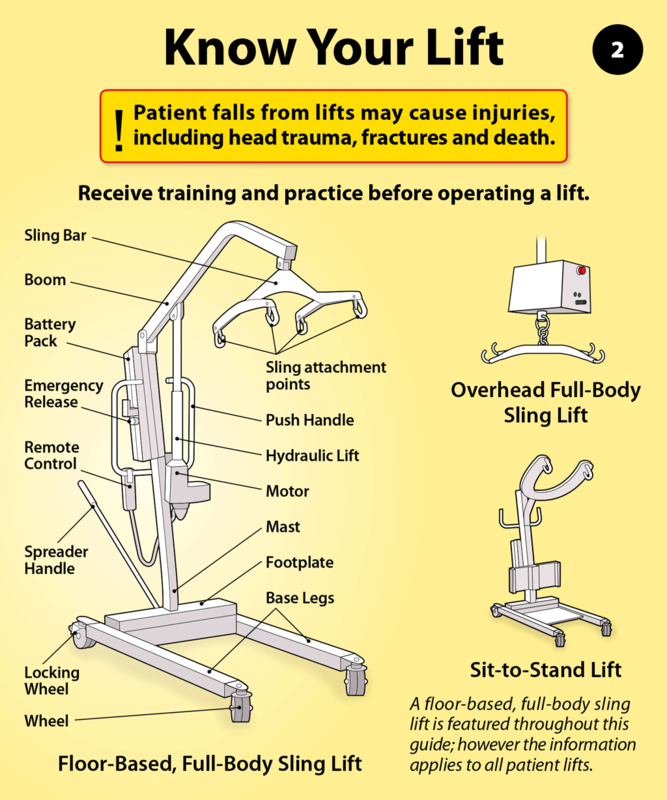 It includes easy to understand instructions that use a minimum of text and detailed illustrations to help caregivers get to know their lift, selecting and fitting slings, preparing the lift environment, placing the patient in the lift and performing safety checks, lifting and lowering the patient and care for the lift and its slings. 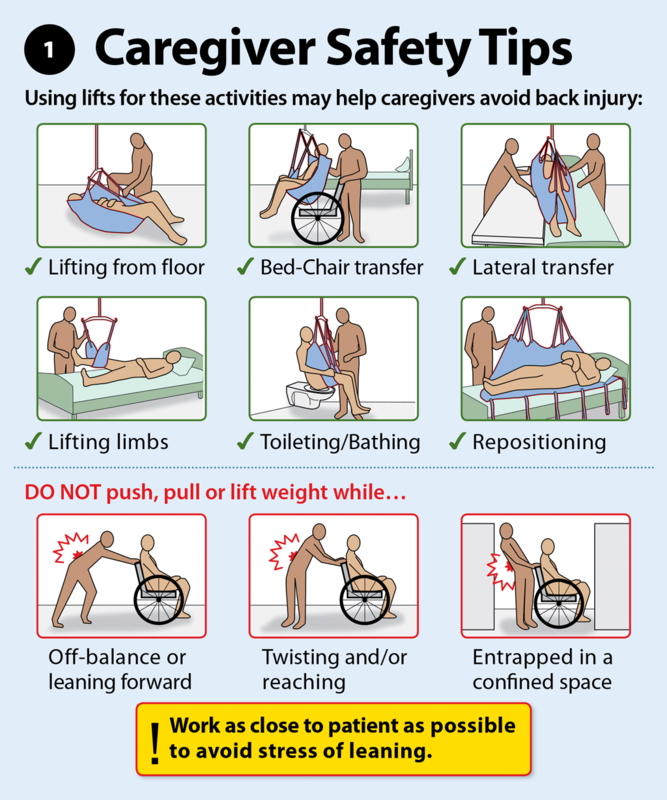 It is designed to prevent injury to both the patient and the caregiver. It is available in three formats – spiral bound, ring bound and saddle stitched.